Join Dr. Phil as he takes aim at the critical issues of our time, including bullying, drug addiction, domestic violence, depression, child abuse, suicide and various forms of mental illness. Dr. Phil was broadcast on Ten at Monday 11 February 2019, 13:19. 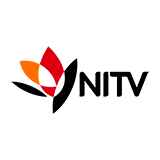 Dr. Phil is a TV show on Australian national television from Ten with an average rating of 3.6 stars by TVCatchUpAustralia.com's visitors. We have 143 episodes of Dr. Phil in our archive. 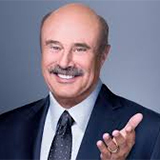 The first episode of Dr. Phil was broadcast in April, 2019. Did you miss an episode of Dr. Phil but don't you wan't that to happen in the future? Please set an alarm and add Dr. Phil to your favourites, so we can remind you by email when there's a new episode available to watch. Completely free: handy!